Your discarded electronic waste could be the source of light in a remote village in Arunachal Pradesh. Support the Batti project’s ‘Waste to Light’ initiative by donating your broken wires, old chargers, headphones, old phones, and even electronic appliance towards this great cause. The Batti project was started a little over six years ago when two friends were travelling towards the remote North-Eastern settlement of Gandhigram and recognised that the area was in desperate need of lighting. The Further and Beyond Foundation, started by Merwyn Coutinho and Rajiv Rathod, was a non-profit set up to tackle this issue. 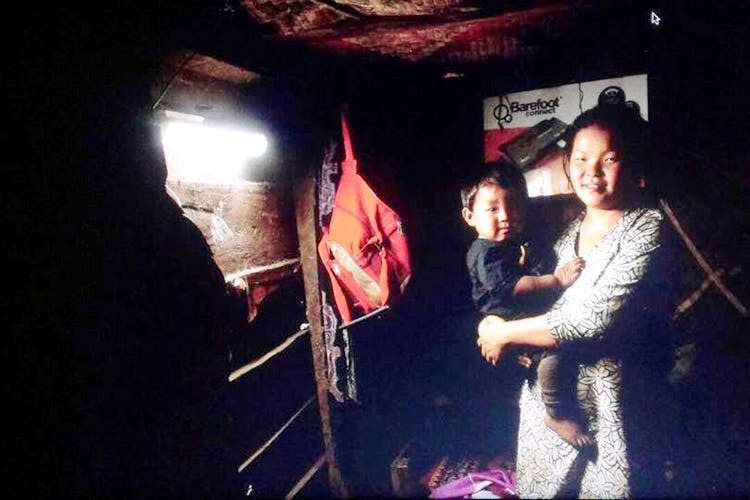 After realising that many people wanted to help the cause, the Batti project came about with the aim of of providing solar-powered solutions to villages and rural homes of Arunachal. Around 282 homes have received lighting through the project so far. After realising that many people wanted to help out but couldn’t financially, the Batti project decided to allow people to make donations that weren’t monetary, but rather of their e-waste. Tying up with electronic waste processing units, the project put all the money made from processing this waste into providing solar-powered lighting for these villages. This time round, spring clean for a cause that is greater than a spotless floor. Those plugs and chargers that would’ve eventually made their way into a landfill can serve a bigger purpose by being donated to Batti. Get in touch with them though their website here or Facebook page here and make your donations. All kinds of electronics, from batteries to lawn mowers, that no longer serve any real purpose would qualify as e-waste that you can give up. Give a village light, recycle your trash and please your mom in one go by tidying up. The Waste To Light initiative will be collecting your e-waste, as well as at the Sunday Soul Sante this Sunday, so bring all your loose wires and useless chargers to the venue.